After a year or more of speculation and rumours, Apple have announced their entry into the new ‘wearables’ space in the industry, the Apple Watch. I’m not going to detail the announcement, I just wanted to put some thoughts down as to why I thought it wasn’t particularly good. I like the idea of good wearable technology and a watch is probably the best entry into that with what is currently possible, but having said that, I haven’t been all that interested in what has been shown to us. Not generic (who wants to be wearing the exact same pieces of jewellery as 10s of millions of others are? ), able to personalise, well built, well designed and good looking. Fairly self-explanatory. A highly focused experience. I don’t want to be using my smart watch for more than 10-15 seconds at a time, on average, taking into consideration using quick shortcuts, swiping a few notifications, etc. Apple have done relatively well on the first one. I’m not immediately attracted to the design of the watch itself, but I think it looks reasonable and well built. However, the different finishes, colours and most importantly the easy replacement of watch straps, including all of the different kind of straps Apple are designing checks a fair few boxes. I think in a couple of generations, when you can get the watch itself smaller and thinner, less obvious, then we may have something to fulfil most of the requirements. On the second point, Apple fall short. We don’t see them present to us the point of the watch, they don’t sell us an idea that hasn’t already existed (sports/fitness), they don’t convince me that this will enhance my life to any significant degree. I think they don’t know how to. This is a “me too!” response. Wearables are all what people are talking about and Apple wants to be the one associated with defining another new segment in the market. Apple don’t know how to sell it to us other than just telling us what it is and what it does, and that’s bad for something so new. Because of this, Apple’s keynote consisted of little more than a bullet point list of features they could demo. Most of which I couldn’t see myself using on that tiny screen and limited input. One of the weirdest points was the repeated demonstration of the ‘photos’ view. 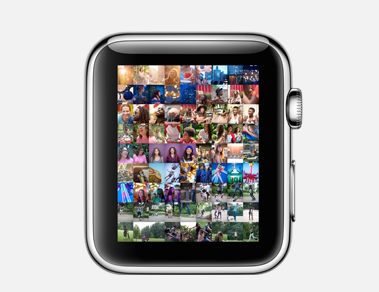 I presume these photos are being grabbed from a phone or an iCloud account, and the watch itself requires a connection to an iPhone for basic functionality - so the it begs the question: Why am I looking at photos on my watch? From this, to 3D emoticons that you can manipulate with your finger, all demonstrate the problem nicely. Apple isn’t sure why we want them either. Extra features you’re not forced to use aren’t necessarily a bad thing, some people will enjoy them and that’s fine. But this lack of restraint is an important thing to note and it is something I think Google have done far better at. Android Wear isn’t as full featured as the Apple Watch, but provides a clear understandable focus. It’s clear what it intends to provide and you don’t really need Google to explain why. Android wear is focused around Google Now, it leverages the power of what has developed into a useful and novel service on smartphones, tablets and desktop. Not only that, but it feels like a completely natural fit, almost as if Google Now was envisioned as being for a device like a watch (or other wearable ) in the first place, all the way back before it seemed like smart watches were going to be a thing. The focus on quick, glance-able, and useful data that is still unmatched by other companies is easy to understand. Google Now is often seen as the culmination of everything Google wants to be in your life and its place on your wrist only helps further that case. The focus and intentions with Android Wear are clear, with Apple watch they are not. The announcement was lacking the restraint that I felt made many other Apple launches so effective. Maybe Apple will find a way to present it to us in a more succinct manner in the future, it isn’t supposed to ship until sometime early 2015, but until then - I’m not convinced. It’s probably worth mentioning that I have not been grabbed by Android Wear devices yet either, referring specifically to the hardware. The Moto 360 shows a lot of promise, the circular display is striking and definitely along the lines I’d like to see things develop, but it’s not quite the yet. 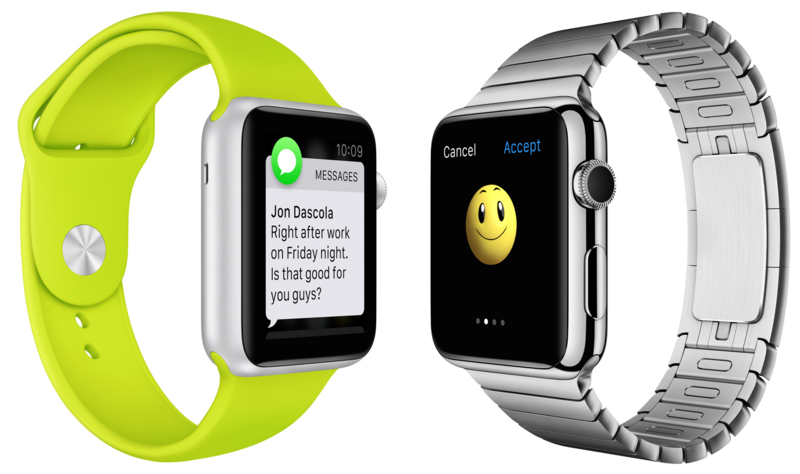 Neither Apple nor Google/Android Wear manufacturers have reached the ideal yet.